We generally do not recommend waiting in huge lines, however this is one line that’s worth all your time and energy. We recommend that you visit the tower by four in the evening and hang out in the lawns before you get in line. 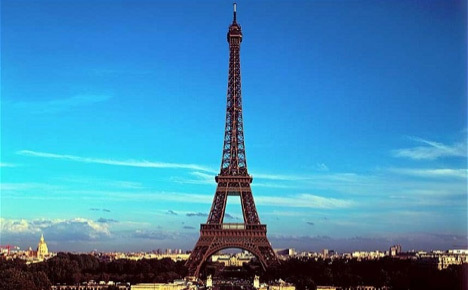 Once on top enjoy a glass of champagne with your loved one and soak in the amazing bird’s eye view of Paris. 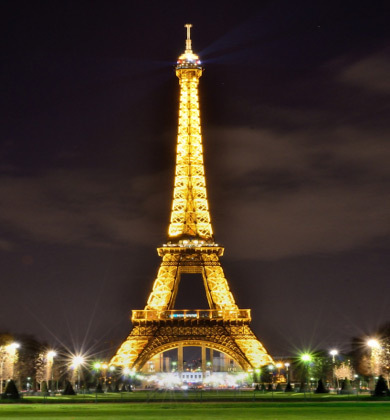 After sunset when the clock strikes the hour, witness the tower sparkle like a jewel in the sky. Tickets are priced at 15 Euros per person with access to the top tier. 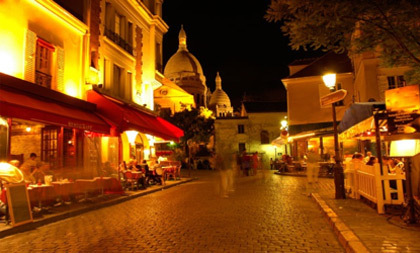 Lose yourself in the steep and cobbled streets of one of the most historic and interesting neighborhoods in Paris. 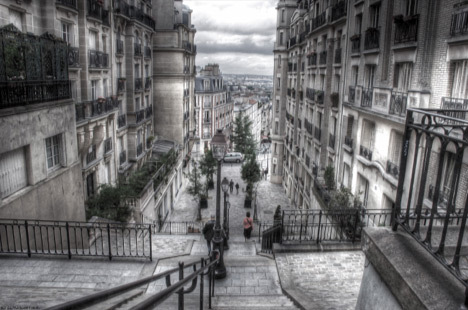 The artists of Old Paris all called Mont Matre their home. Watch herds of people pass by, but notice those like you, present to cherish the moment. Click a picture of the Sacre Coeur Basillica for keeps. Enjoy a delicious French Crepe while you get your portrait painted by supremely talented street artists. 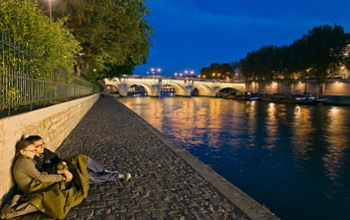 The River Seine will not only capture your imagination, it will seduce and mesmerize you as well. The river splits Paris into the right and the left banks and it gives you a perfect introduction to one of the best cities in the world. 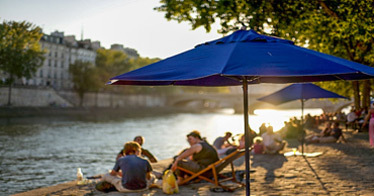 The Banks of The Seine provide a wonderful setting for a perfect Parisian picnic and also a romantic stroll. 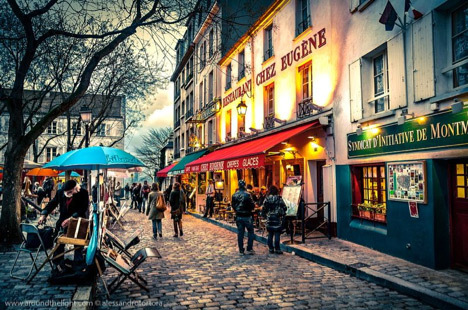 So pack your baguettes, cheese and a bottle of wine, sprawl out on the banks and watch life pass by as you enjoy a quiet Parisian evening. 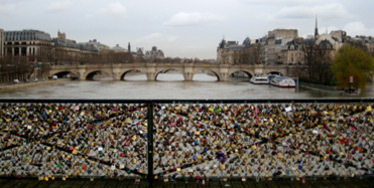 Don’t forget to fasten your love lock at the famous Pont des Arts. 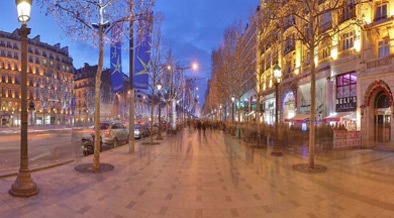 The Avenue des Champs Elysees is one of the most famous streets in the world lined by cinemas, luxury shops, cafes and cropped chestnut trees. Walk around this most prized piece of real estate, shop, eat and don’t forget to take notice of the eyeballs that your Leather jacket has been attracting. 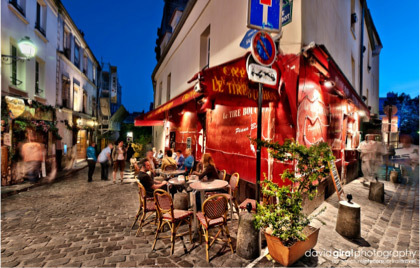 Whether you are a food connoisseur or not, do not leave Paris until you dine Al Fresco in one of the many cafes that line the streets of Paris. Savour those quiches, Coq au Vins with a glass of wine, undisturbed by the hustle and bustle around you. Enjoy Happy Hours as well.